Whatever you’re looking for in a new vehicle, our Aberdeen, WA Honda dealership highly recommends checking out the 2018 Honda Civic. Whether you opt for one of three body styles or any of distinctive trim levels, Honda of Grays Harbor knows that this Honda model will fit any driving lifestyle. One of the great things about the 2018 Honda Civic is that it comes in a variety of trims and body styles: coupes and sedans come in EX-L, EX-T, and Touring trims, high-performance models are available in Civic SI and Type R trims, and hatchbacks can be found in LX, EX, EX-L, Sport, and Sport Touring trims. Another advantage is s the variety of powertrain options. Most versions of the 2018 Honda Civic are equipped with a 2.0-liter four-cylinder engine capable of 158 horsepower mated to either a continuously variable transmission (CVT) or a six-speed manual. transmission. Drivers also have their choice of a 1.5-liter turbo four-cylinder engine that generates 174 horsepower and 162 lb-ft of torque. Even the two high-performance trims have distinctive powertrains. The 2018 Honda Civic Si uses a special 1.5-liter turbo four-cylinder engine which generates 205 horsepower mated to a six-speed manual transmission. The Honda Civic Type R uses a VTEC and VTC equipped 2.0-liter turbo four-cylinder engine which generates 306 horsepower and 295 lb-ft mated to a six-speed manual transmission. When you’re seeking a vehicle with great safety features, Honda of Grays Harbor heartily recommends the 2018 Honda Civic. Standard safety equipment in the 2018 Honda Civic includes a standard complement of airbags, traction and safety control systems, seatbelts, child-seat anchors, and a rearview camera. Although standard on Touring and Sport Touring Trims, the Honda Sensing ™ active safety suite is optional, adding adaptive cruise control, lane-departure warnings, and forward collision warning with automatic emergency braking. 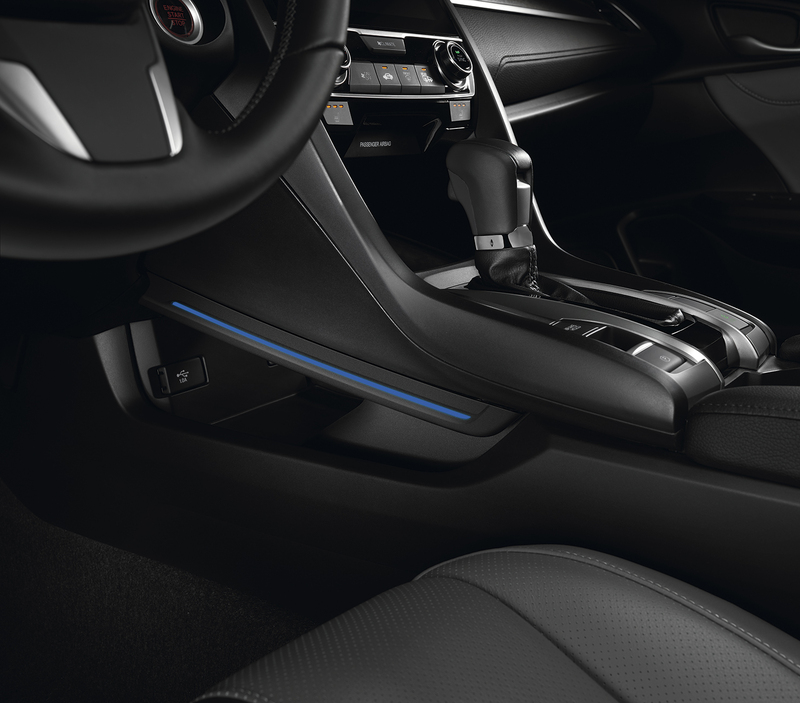 Features in the 2018 Honda Civic include USB & Bluetooth® connectivity, infotainment touchscreen with Android Auto ® and Apple CarPlay ®, and keyless ignition. If you’re curious about the 2018 Honda Civic, please make a point to visit a car dealership near me. Located at 1720 Simpson Ave in Aberdeen, WA, we are here to take care of your driving needs!